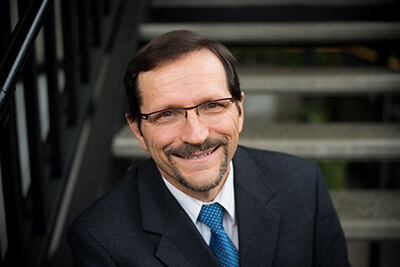 Dr. Talaber was born in Hungary and grew up in Olympia, Washington. He received his degree in biology from St. Martin’s University, having also attended Pacific Lutheran University and The Evergreen State College. He is a graduate of Tufts University School of Dental Medicine in Boston and began his practice in 1985. Dr. Talaber is a member of the American Dental Association and the Washington State Dental Association. He is a past-president of and currently serves on the executive committee of the Thurston-Mason County Dental Society and a member of the West Olympia Rotary. Dr. Talaber is an affiliate professor at The University of Washington School of Dentistry. He teaches Dental Anatomy, Occlusion and Cosmetic Dentistry. Dr. Talaber feels volunteering is a way to give back to our community -- a way of saying thank you to his patients. Participating in the Smilemobile program, serving on the board of the Headstart program, and having volunteered in an overseas dental program has been a joy to be a part of, says Dr. Talaber. Dr. Talaber’s hobbies are photography, gardening, traveling, winemaking and being with his wife, Katalin and children, Zoltan and Timea.